Jackson Pollock and Lee Krasner made their home in a small farmhouse set in a field bordering the peaceful reaches of Accabonac Bay. Both were artists, but Pollock’s super-stardom in the art world cast a giant shadow over the work of his wife. Now art biographer Gail Levin has rescued Lee Krasner from under Pollock’s shadow, showing the world in her new book, LEE KRASNER: A Biography, that the spirited, bold and talented Krasner could hold her own. The art community that lived in New York and East Hampton was fiercely competitive (and incestuous), but it was one that valued Lee Krasner as an artist and member. Gail Levin is the perfect person to write a biography of Krasner. Not only has she authored two previous artist biographies, but she got to know Lee Krasner well; in fact the latter was, in a way, a mentor to Levin. It all started when Levin, then a graduate student, traveled to East Hampton to talk to Krasner about Pollock in 1971. Gail Levin is also the author of BECOMING JUDY CHICAGO and EDWARD HOPPER: An Intimate Biography. 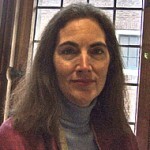 She teaches at the City University of New York Graduate School. Gail Levin will be speaking at the Museum of Fine Arts in Boston on November 9 at 7 pm. It isn’t every day that a book of translations of ancient Roman poetry comes across WV’s transom. But when Gail Levin told Francesca about her husband’s new book, she was intrigued. “He’s a great interview,” Levin said. (And so he was.) John Van Sickle’s book is VIRGIL’S BOOK OF BUCOLICS, The Ten Eclogues Translated Into English Verse. 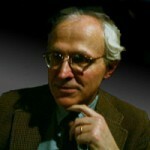 John Van Sickle teaches classics and comparative literature at Brooklyn College and the City University Graduate School in New York. Read an excerpt at Google Books. Jeff Sharlet has several times been a guest on WV, talking about the insidious influence of the Christian extreme right on government and the US military. Now, he’s come out with a moving collection of stories about how Americans deal with faith and the lack thereof. It’s called SWEET HEAVEN WHEN I DIE. WV will air that interview in full later in the season, but with the Occupy Wall Street movement growing every day, it seemed right to air a short clip as a preview. That’s because one chapter in Sharlet’s book is about Brad Will, a journalist who was killed in Mexico several years ago while covering popular protests in Oaxaca, but whose spirit — and friends — are all over OWS. His comrade in arms, a videographer and activist named War Cry, has been involved in Occupy Wall Street since the beginning and is now part of its press corps — and that’s where Sharlet found her several weeks ago when he went to the encampment at Liberty Park. He talks about Will and War Cry in this clip. Jeff Sharlet will be reading from Sweet Heaven When I Die at Hampshire College, Franklin Patterson Hall, on November 8 at 7 pm.